Clonakilty Gardai recently held a quiz night at O’Donovan’s Hotel Clonakilty, that was very well attended to help raise funds for the local West Cork Rapid Response. A sum of €1420.00 was raised on the night and generously donated to West Cork Rapid Response. Dr. Jason van der Velde of West Cork Rapid Response, Garda Sgt. Eamonn Brady, Garda Flor O’Driscoll, Mary O’Callaghan, Dena O’Donovan (Director WCRR), Garda Liam Ryan (Quiz Organiser), Dr. Karl Knapman West Cork Rapid Response and Anne Marie Murnane. 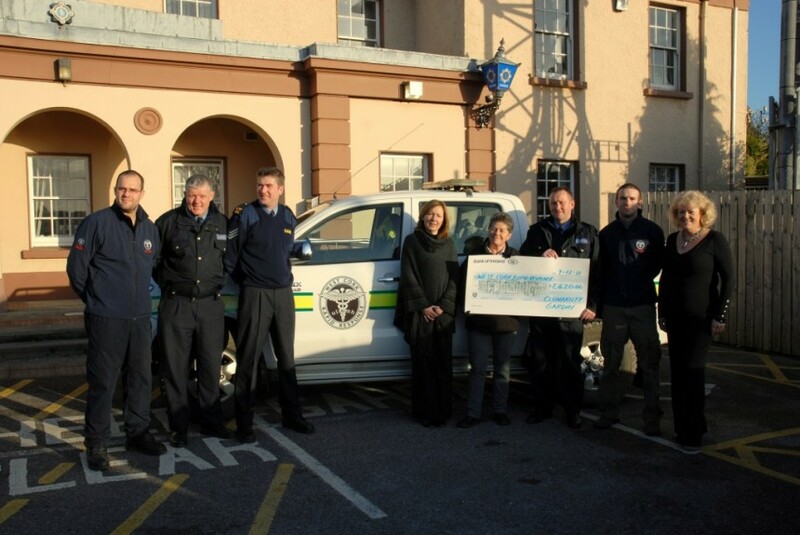 A sum of €1420.00 was raised on the night and generously donated to West Cork Rapid Response. WCRR Quiz Nights: Will YOU Answer The Call?